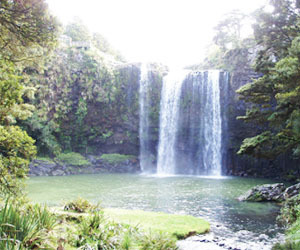 A $575,000 Northland Regional Council project to improve water quality at Otuihau/Whangarei Falls is underway. The project received a cash boost of $258,000 from the government’s Community Environment Fund grant. The project aims to improve the water quality at the popular tourist spot and swimming hole by erecting fencing, riverside planting and stock water reticulation on farms in the upper Hātea catchment, which feeds into the falls. The project will erect nearly 40km of fencing and plant 30,000 native plants in the margins between the river and fences and in public areas during the next three years. The Community Environment Fund provides funding so New Zealanders are empowered to take environmental action. It support projects that strengthen partnerships, raise public awareness of environmental issues, and encourage community participation in environmental initiatives. The fund has awarded more than $12 million to environmental projects since 2010. The Otuihau/Whangarei Falls project’s first community planting day is on Saturday 24 June at Springs Flat Road Commercial Area from 11am to 3pm.